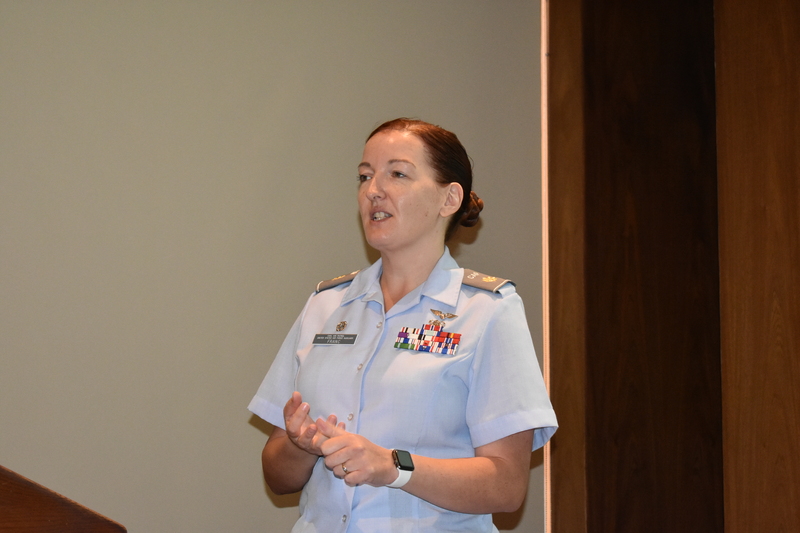 Major Natalie Franc, a native of Glenhrothes, Scotland, is the current commanding officer of the El Paso, TX Civil Air Patrol (CAP) “Composite” Squadron. As distinguished from a regular squadron, a Composite Squadron includes a CAP Cadet Corps, along with its Senior Members. Natalie began her career with the CAP when living in Hawaii after having been in the Royal Air Force (RAF), in which she enlisted when 18 years old, after having first served, since she was 13, in the Air Training Corps of Great Britain. In the RAF she was assigned to Intelligence, where she used her skills as a linguist with a fluency in the Russian Language. When on active duty with the RAF she met and married her husband, Michael, who was also in the Intelligence branch of the U. S. Army. When he was transferred back to the U.S. in 2002, she moved there with him. Before finally settling in El Paso, Texas, Natalie had lived in Maryland, Hawaii, Arizona, and Germany. As a civilian, in addition to her work with the CAP, she has worked in various capacities in Emergency Services and has been a volunteer with Army Family Programs and has also been an Armed Forces Caseworker. Natalie now runs her own business in El Paso. 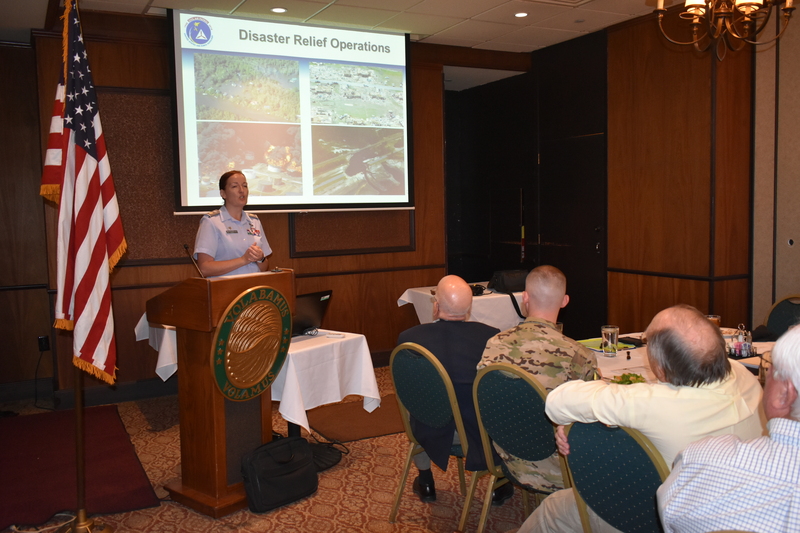 The Major showed a custom prepared Power Point slide show to the Daedalian Flight members, who are also members of the FASF. The following photographs of this event are all in high-resolution, and can be seen full-size by simply clicking on them as they appear below. 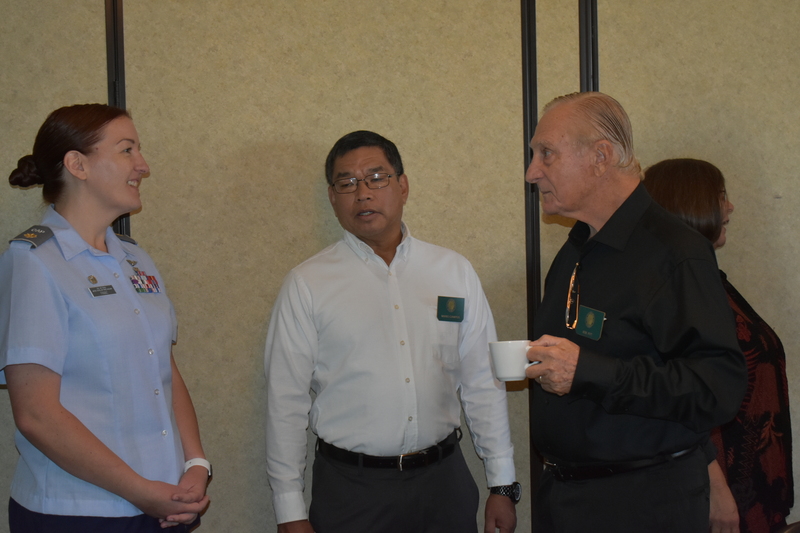 L to R: Major Natalie Franc, Colonels Mario Campos and Bob Pitt. L to R: FASF Aviation News Scout, Virgil Hemphill, Colonels Norman Rice (back to camera) and Alan Fisher. Colonel Fisher is also an active volunteer pilot for the Las Cruces, NM Squadron of the CAP. 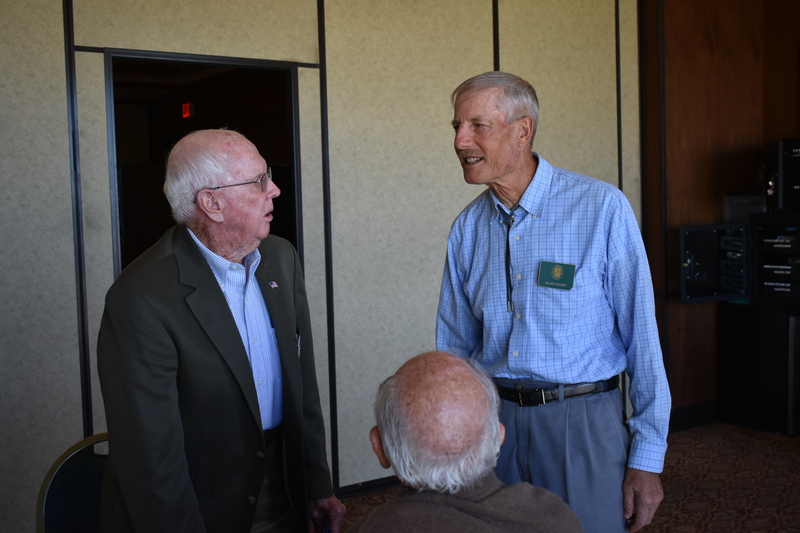 L to R: Mark Pfluger, Active Duty Army Rotary Wing Pilot from Ft. Bliss’ Biggs Army Airfield, and his mentor, Flight Captain, Roger Nichols. L to R: Maj. 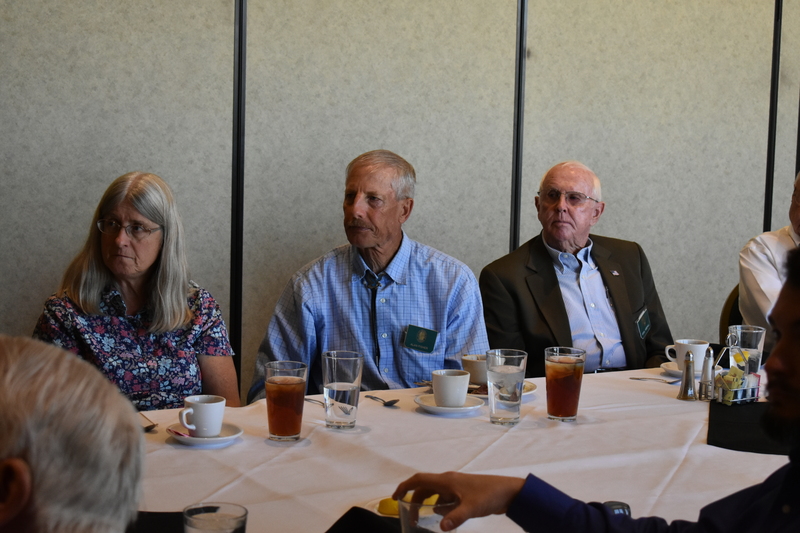 Franc, Col. Campos and his wife, Judy, Julie and Col. Bob Pitt, Retired USAF Colonels, Melissa and Alan Fisher, Virg Hemphill and Roger Springstead (USNR Ret.) 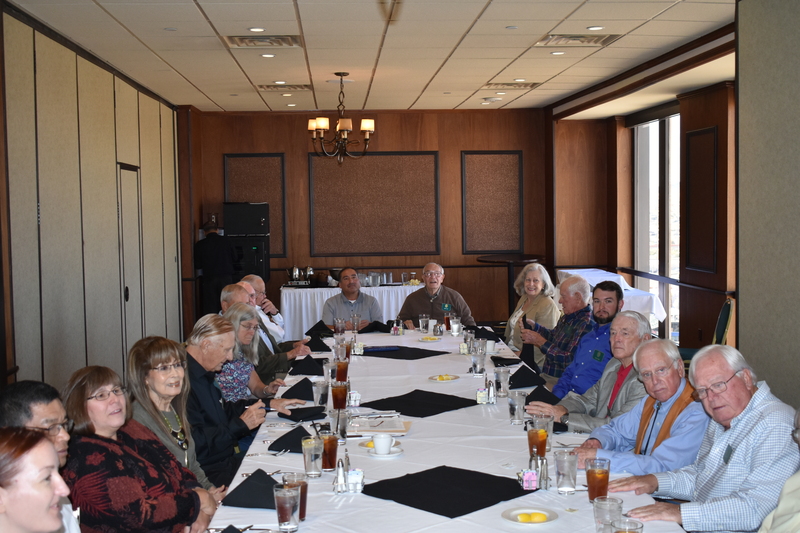 Anselmo Rocha, Assistant to Col. Norman and Mrs. Ulla Rice, Jerry Dixon (USMC), Dave Ginn, Charlie Overstreet, Jim Brandon, Col. Pete Brandon’s visiting brother, and just out of camera range to Pete’s left is his guest, Skip Orrell. Major Franc adjusts computer projector . . . as she explains that the CAP has the largest single-engined fleet of Cessna Aircraft in the world. The powered aircraft total is about 560, and she reported that the CAP also owns 47 glider-sailplanes, which are used to train Cadet members, along with several Hot Air Balloons, which select Cadets are also taught to operate and fly. 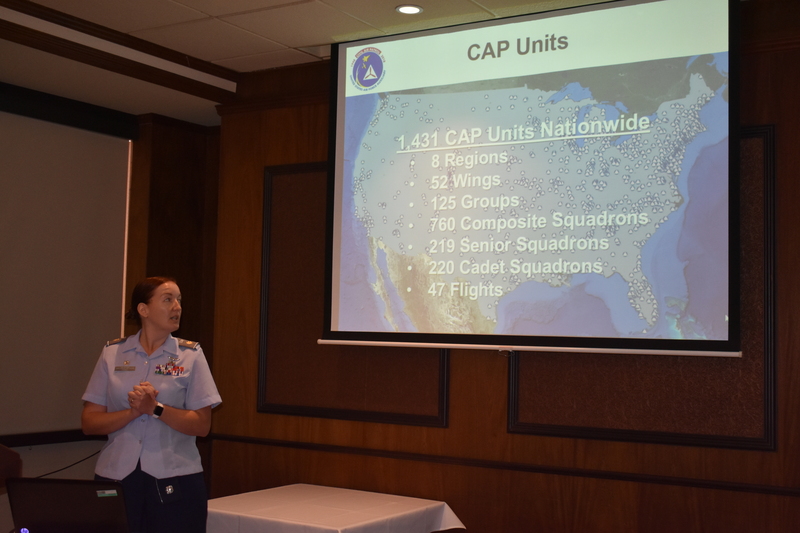 The Major explains the National CAP organization’s composition . . . which inlcudes the Continental U.S., Alaska, Hawaii and Puerto Rico. 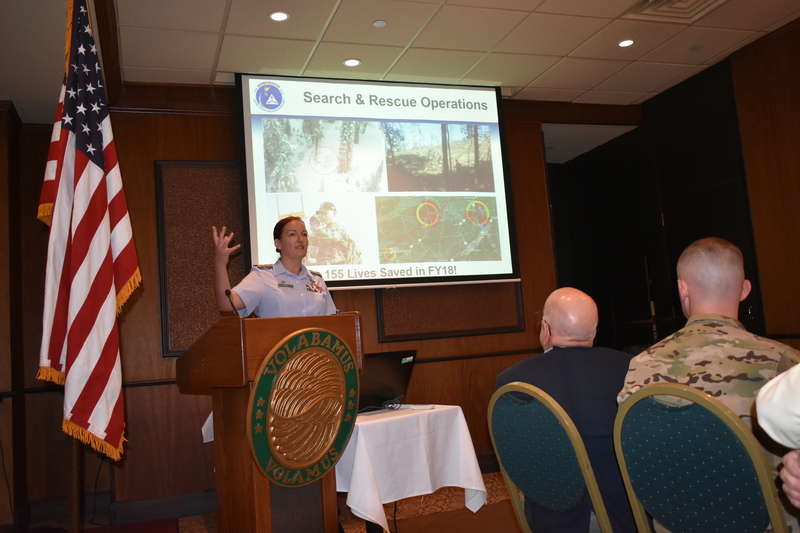 In this set of slides, Major Franc gives some examples of the CAP role in Search and Rescue Operatrions (“SAR” Ops). 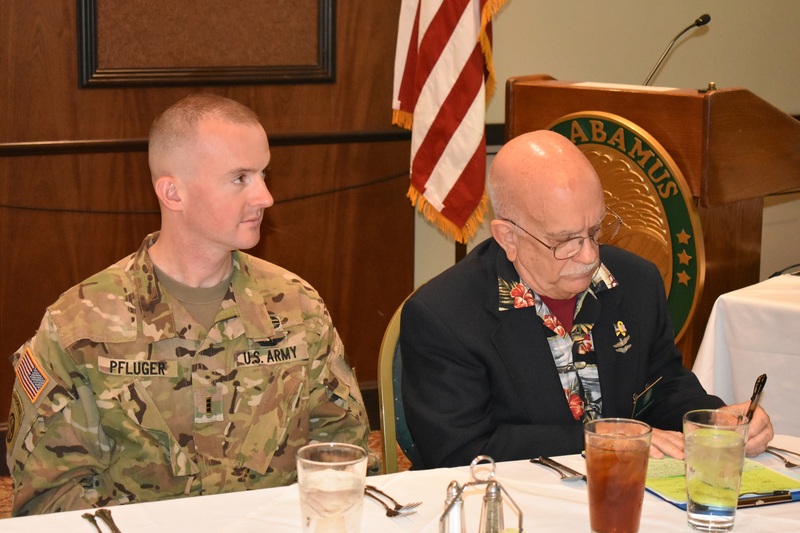 L to R: Melissa and Alan Fisher and Virg Hemphill listen to Maj. Franc explaining her El Paso TX CAP operation . . . 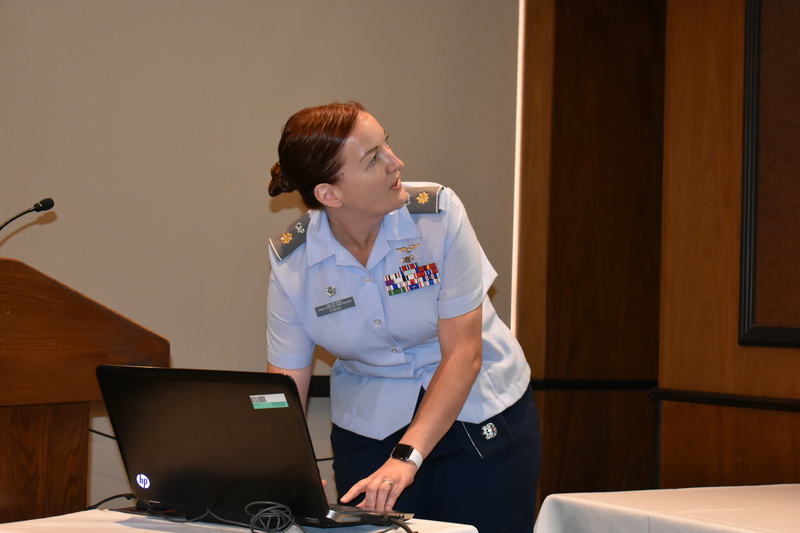 Here the CAP Commander explains the role of the CAP in disaster Relief Operations, noting her own squadron’s heavy involvement in Hurricane Harvey, which struck East Texas, in particular, the Houston area. 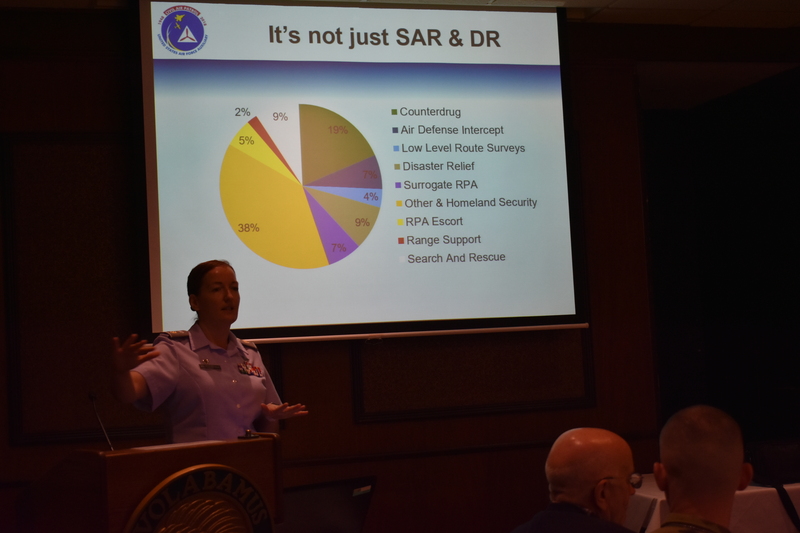 In this slide the Major explains that the CAP mission also includes other roles in addition to Search and Rescue and Disater Relief . . . pointing out that her squadron plays an important role in Border and National Air Space Security. 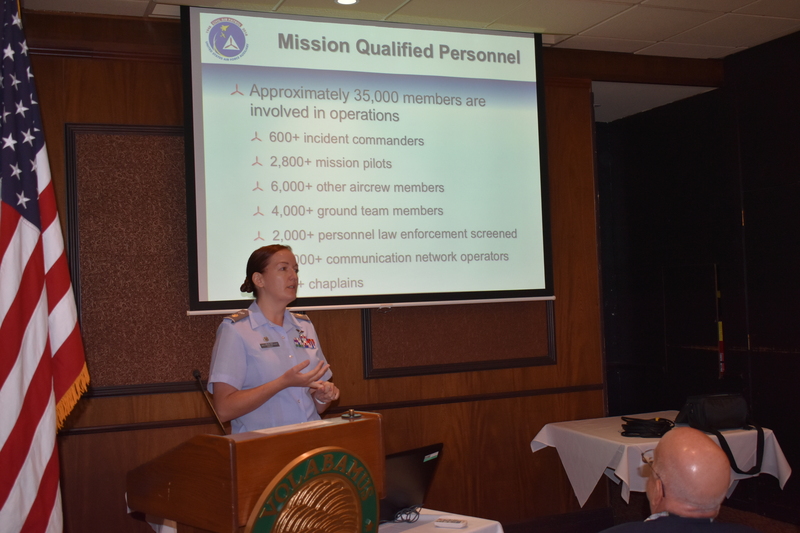 Here Natalie describes the numerouis mission qualifications in which CAP members work throughout the Squadrons. 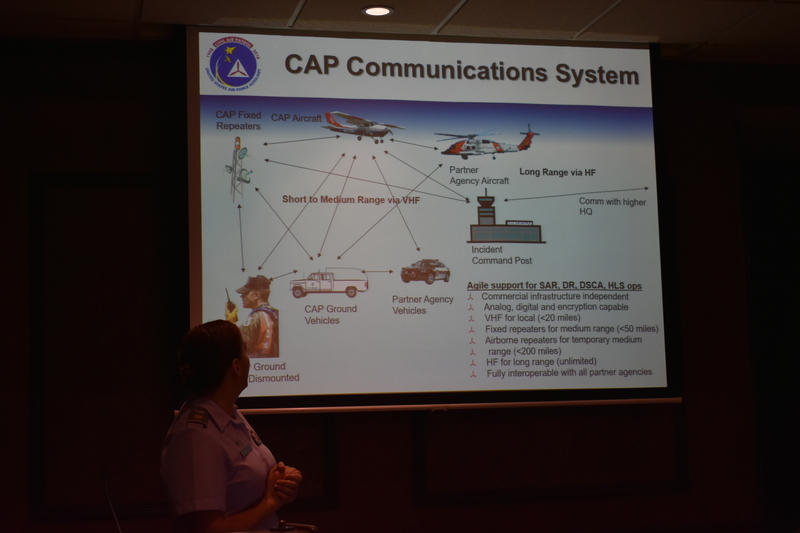 And here she shows the Daedalians and their guests how the CAP stays in constant radio contact with its mission personnel and aircraft during operations . . .
Major Franc sums up her presentation and takes questions from the audience . 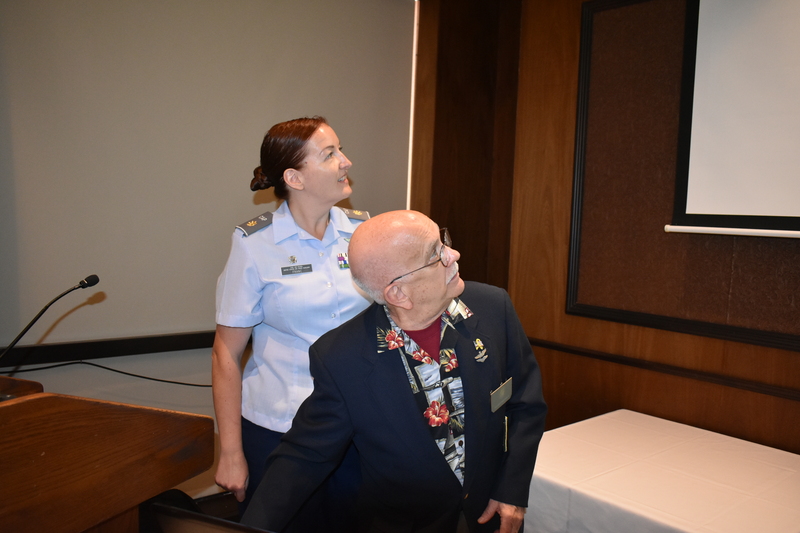 . .
L to R: Major Franc and Flight Captain Roger Nichols study one of the slides shown during the presentation. 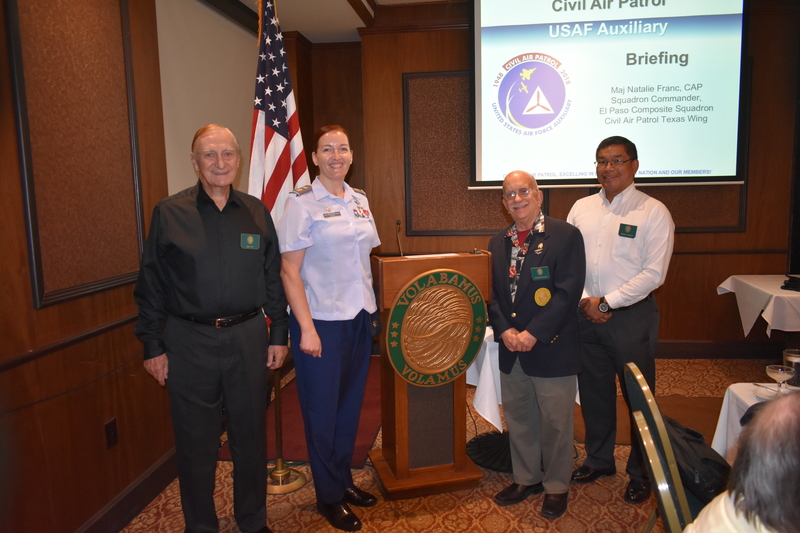 L to R: Col. Bob Pitt, Major Natalie Franc, Flight Captain Roger Nichols, and Colonel Campos, who invited the Major to make the presentation . 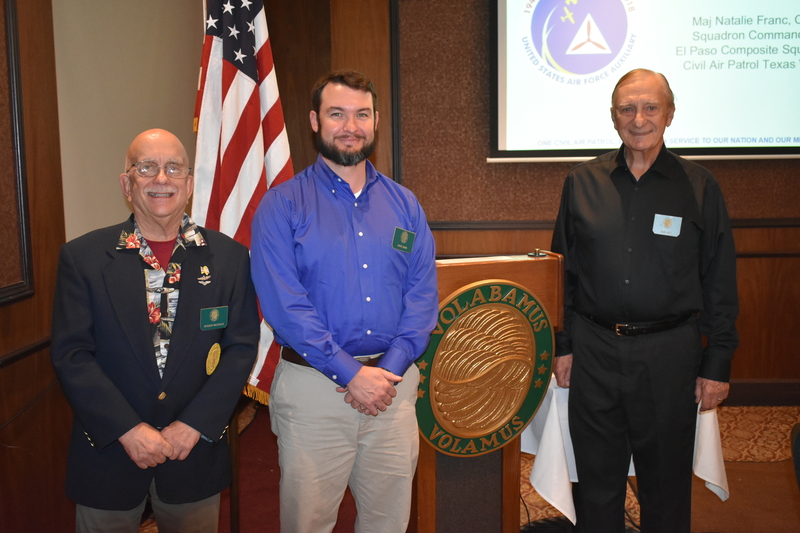 . .
L to R: Flght Captain Nichols and newly inducted Daedalian, Dave Ginn, and Colonel Bob Pitt. This entry was posted in AVIATION NEWS, HOT NEWS! and tagged Anselmo Rocha, Army Pilot Mark Pfluger, Bob and julie Pitt, CAP, Charlie Overstreet, Civil Air Patrol, Colonel Norm and Ursula Rice, Daedalian Flight 24, Dave Ginn, Disaster Relief, El Paso Texas, El Paso TX, Jerry Dixon, Jim Brandon, Largest Fleet of Single-Engine Cessnas, Major Natalie Franc, Mario and Judy Campos, Melissa and Alan Fisher, Pete Brandon, Roger Springstead, SAR, SAREX Missions, Search and Rescue, Skip Orrell, Virg Hemphill on November 9, 2018 by FASFRIC.